SR Pest Control custom fits, a unique designed, gutter guard which allows leaves and other debris to naturally dry out and blow off, preventing blocked gutters, reducing ceiling water damage, stopping unwanted guest (birds, microbats, rats, snakes) entering your roof space and most of all extending the life of your gutters and reduces your home maintenance. Aluminium is the best product for gutter guard. It is long lasting metal and very compatible with colorbond steel. Our product has passed rigorous tests ensuring the strength, durability and has a CSIRO approved fire rating, which will withstand Cairns challenging weather conditions of blistering heat, torrential rain and bush fires. Our gutter guards patent 'ski slope' design seamlessly follows the contour of your roof allowing minimum interruption of the flow of water and is secured down with certified powder coated saddles and screws (not glued). The gutter guard system we use takes care of the whole project. Covering valleys as well as the gutters. 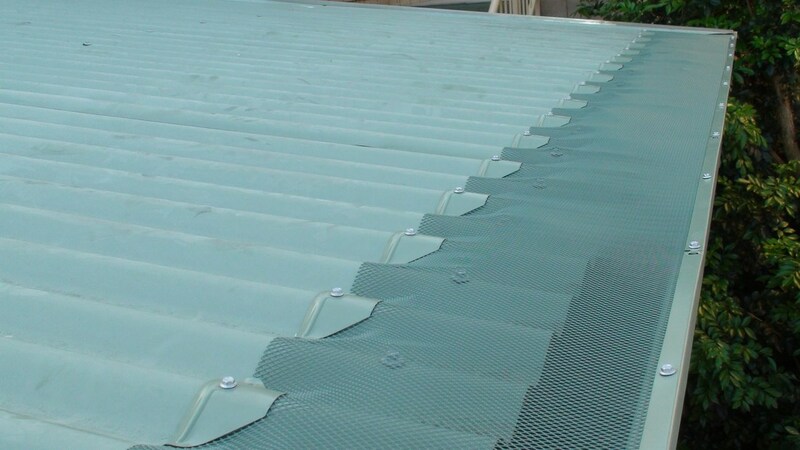 Regardless of the type of roof - trim deck, colorbond or ceramic tiles, we have an appropriate gutter guard to seamlessly integrate with your guttering system to ensure the prevention of clogging of gutters and drains from leaf litter and tree debris and unwanted birds, microbats, rats or snakes taking up residence. 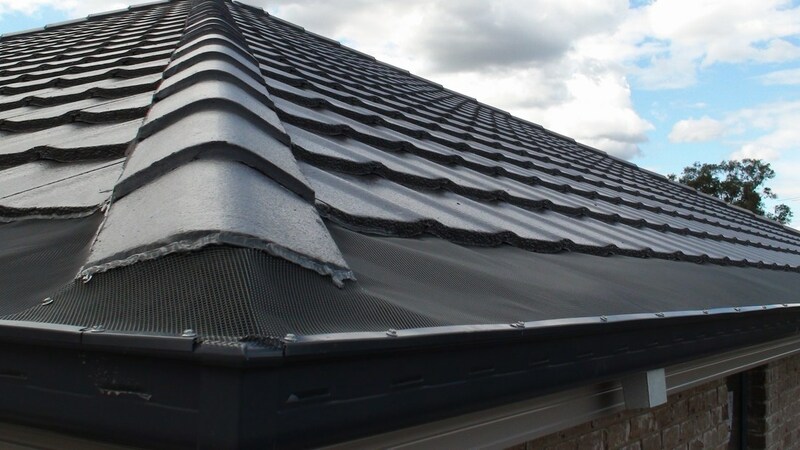 Best of all, is the huge range of aluminium gutter guard colorbond colours, ensuring that you can choose a product that suits your roof perfectly. Ask our fully qualified aluminium gutter guard fitter for an obligation free quote for a gutter guard system that will outlast the rest.